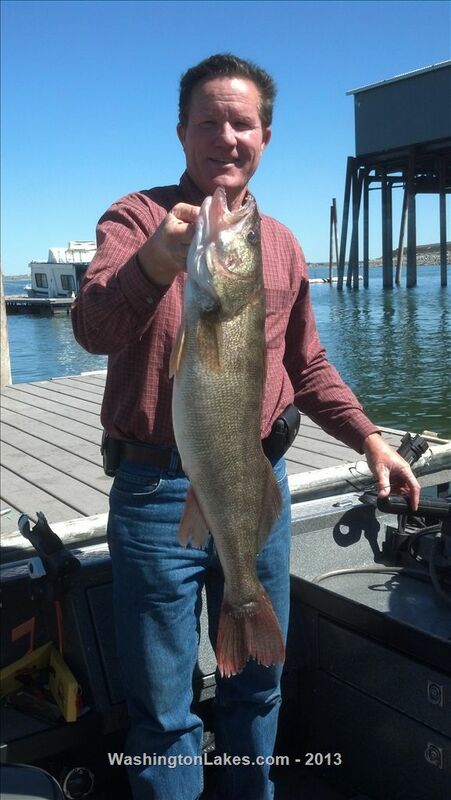 Our walleye bite is coming on nicely with some slightly cooler temperatures and lower water levels. Trolled yesterday morning and had steady action all morning. Started with a 20" walleye as fat as they get. 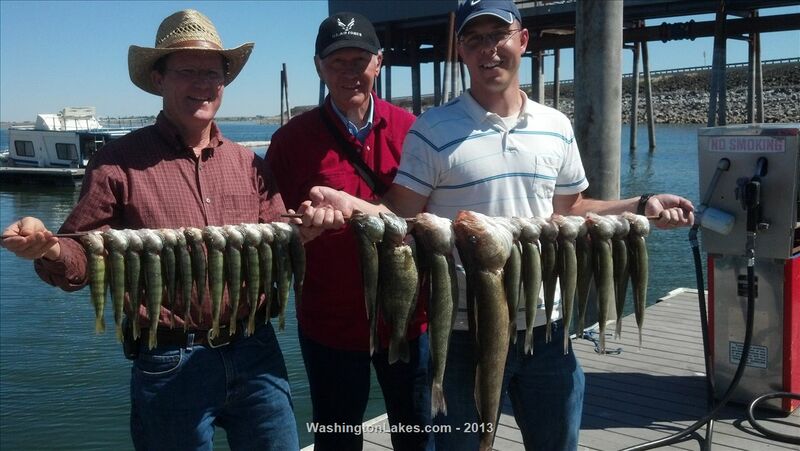 Then it was perch mixed with walleye and small mouth. Caught a nice 28+" walleye for the big fish of the day and several of the perch were 14". The perch are back and here to stay, bring plenty of crawlers. I don't leave the dock with less than 8 dozen! 15 or 16 walleye, 18 small mouth, and countless perch. Not a bad 5 hours. Especially for August! The bite will only improve as fall approachs. Be very cautious of the low water level. I saw 4 boats hit a sand bar at the mouth of crab creek in a couple hours time. The rocks between goose island and the dam are at prop and lower unit eating level. Be smart out there folks. Why don't you C&R the bigger smallies? Kind of contradicts the whole Enhancement project, and what Mardons has stood behind for many years doesn't it? Was this encouraged by a local biologist? He is a guide on the water. It is up to the person who catches the fish to decide on releasing the fish . How would you like it if you paid a professional to take you fishing and they insisted you release a fish (trophy) that you can legally keep. Nice job putting you clients on some decent fish! Not sure what the bass issue is? none are even in the photo, anyway nice perch so where you fishing the mouth of crab? Nice day on the water. As for the bass C&R this issue has gotten out of hand (in my opinion). Recently I read an article about the Potholes where a the dept. was asking folks to keep ALL the small mouth, but a large number of folks think that if its a bass then it needs to be released. I think this is just wrong, Several lakes I fish have been over run with stunted bass. Any spiny ray population will become stunted if there are more fish than food. Guides keep up the good work by helping cleaning out some of these fish. C&R sounds like a great idea if you have a resort on the lake, or belong to a bass club. Truth is, there are plenty there (enhancement at work) to either C&R or eat. Personally, I eat all I catch,,,and they're good.